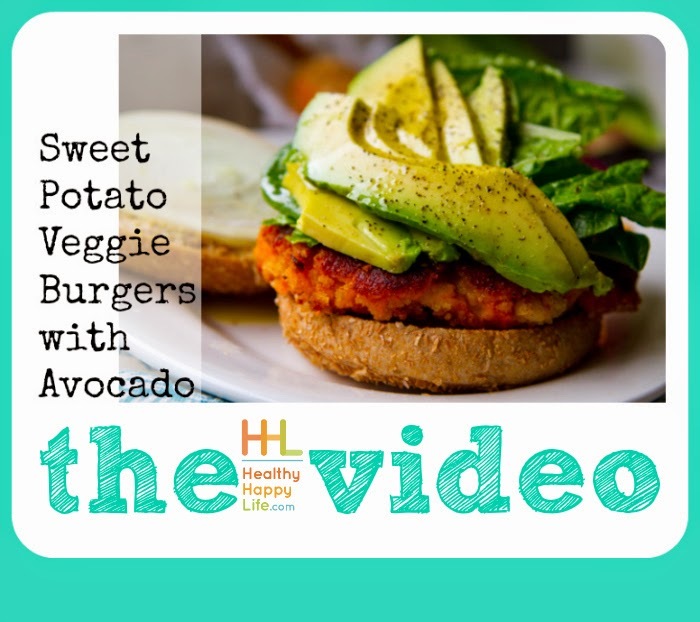 Video: Sweet Potato Veggie Burgers! New on YouTube. 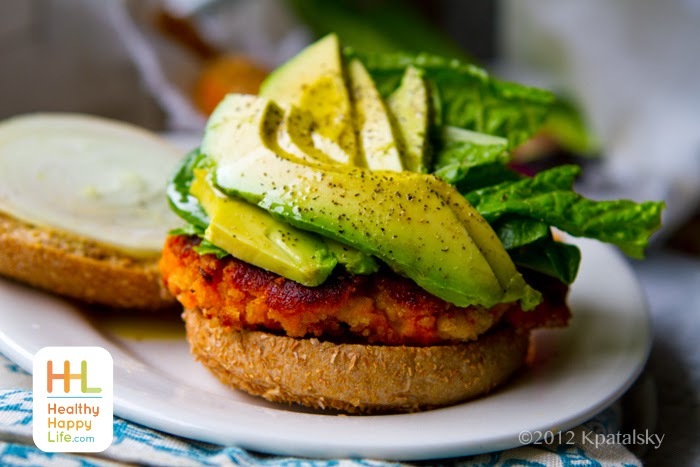 One of my all-time favorite, signature recipes is my Sweet Potato Veggie Burger with Avocado. And not only is it one of my favorite recipes, but you guys love it too because it is the number one recipe on my blog! Nothing seems to de-throne it from that spot. It has had over 492,000 pins (just from my widget), close to 500 comments and been featured on Buzzfeed and more.. And this week I finally decided to hop in the kitchen and bring this recipe to life via a how-to video on my youtube channel! In just about three minutes you can watch me make these satisfying vegan burgers. For two people, you can cook once and have veggie burgers for the next 2-3 days. I offer up 5 ways to put creative spins on your veggie burger too! Watch me make Sweet Potato Veggie Burgers (original recipe blogpost here) and get the re-vamped recipe at the end of this post. If you love the video, please give it a thumbs up and share it with your friends so they can have a sweet potato veggie burger night too! Get TEN more veggie burger recipes here. These tender-delicious veggie burgers combine sweet potatoes, white beans, tahini and spices for a dinner that your whole family will crave! Have a veggie burger night! Form burger mixture into large patties and place on the hot skillet. Cook 1-3 minutes on each side, just to brown them. Repeat with all the mixture, you should yield 6 large patties or 8 small. Tip: Place mixture in the fridge for a half hour if you want it to be super easy to form into patties, this will increase cooking time by a few minutes though. Place the skillet-cooked patties on a baking sheet and bake for 10-15 minutes, until cooked through. Note: YES you could skpi the skillet part and just bake the veggie burgers, but the flavor is better with those crispy coconut-oil seared edges. 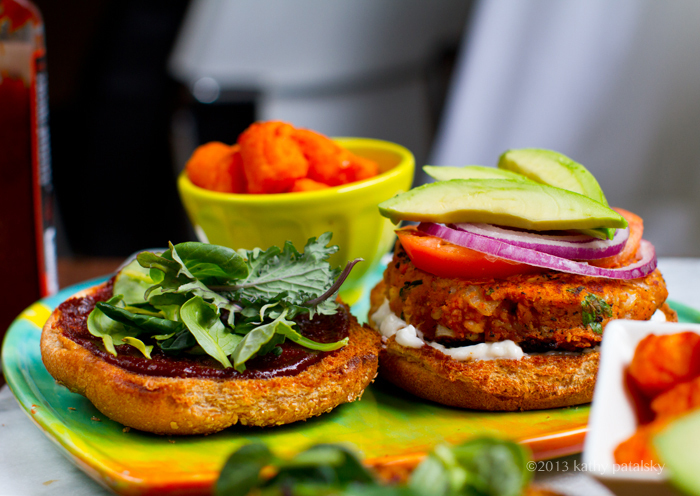 Also try my BBQ Peanut Veggie burgers!.. PS. The sweet potato veggie burger photo is also one of those photos that is very often used without my permission. So if you ever see it on someone else's blog, please kindly ask them to credit me, link back to my recipe here on my site or if appropriate, take it down. So many of you have already done this for me, much appreciated!